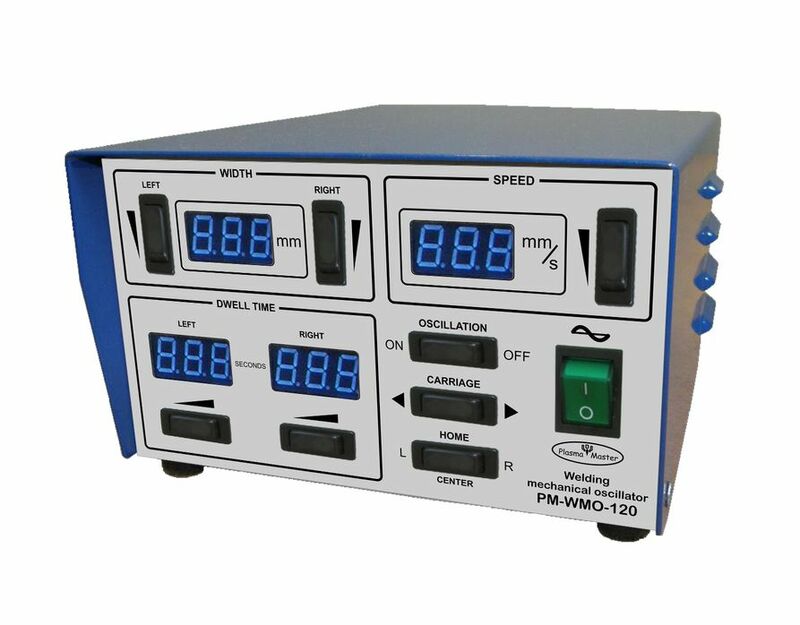 Welding oscillator PM-WMO-120 is designed for lateral oscillations of a PTA or any welding torch to increase the width of a deposited bead for one pass. 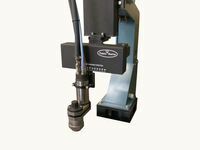 It provides side-to-side motion of the welding torch. 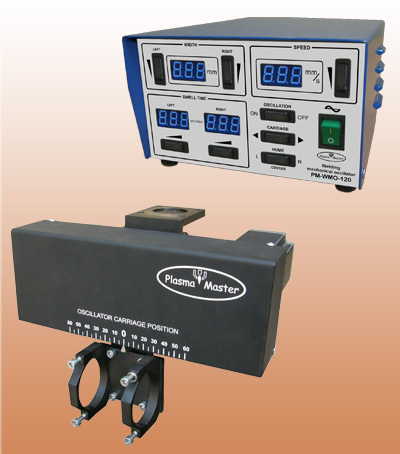 PM-WMO-120 is programmable welding oscillator. 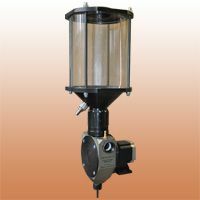 It can be controlled as by the common control system of equipment as by the separate control unit. Rotary drive is stepper motor. 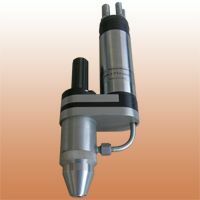 It allows to use easily in PLC or CNC systems. 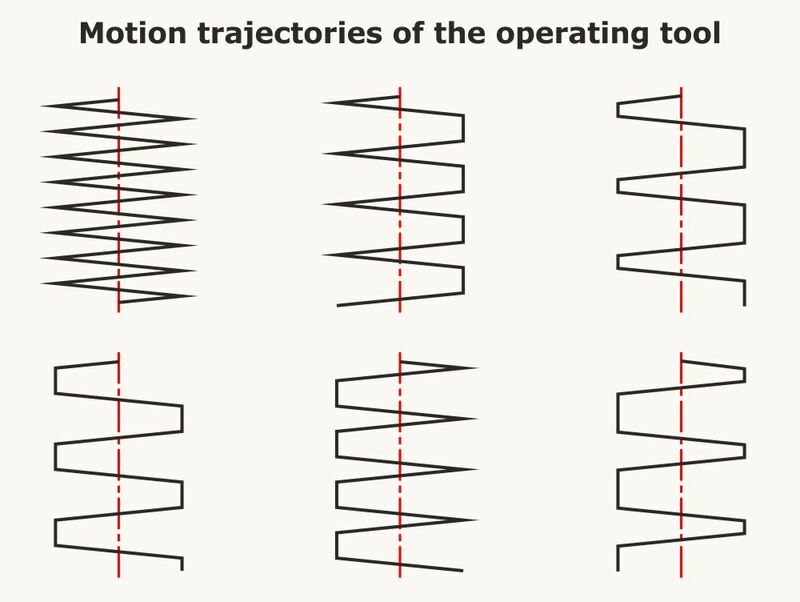 it is possible to change the width and speed of torch oscillations during surfacing and also the position of axial line of the deposited bead. 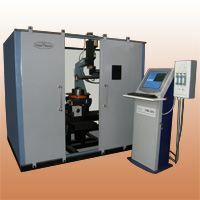 there is the scale with pointer on face panel to control online the PTA or any welding torch position. it is possible to adjust online a dwell time along the edges of bead. 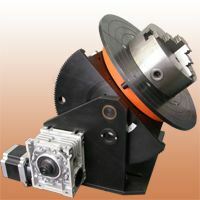 in depending on preseted mode after switching-off the carriage stops on the axial line or in one of the edge of a bead. 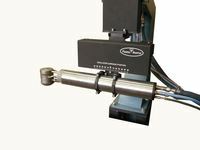 the guide rail is reliably protected from welding splatters and additive powder. 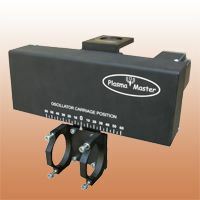 You may order as a complete system(with control unit) as an oscillator only.